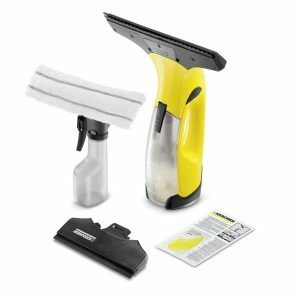 Window Vac 2 Premium will leave windows gleaming with streak & drip free cleaning. 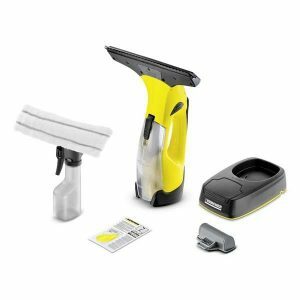 WV 5 Plus Non-Stop Cleaning Kit: Battery-powered Window Vac, spray bottle with microfiber wiping cloth, cleaning agent, charging station and exchangeable battery. For drip-free, streak-free, non-stop cleaning.